Our signature 1/2 lb. charbroiled Pat'i. 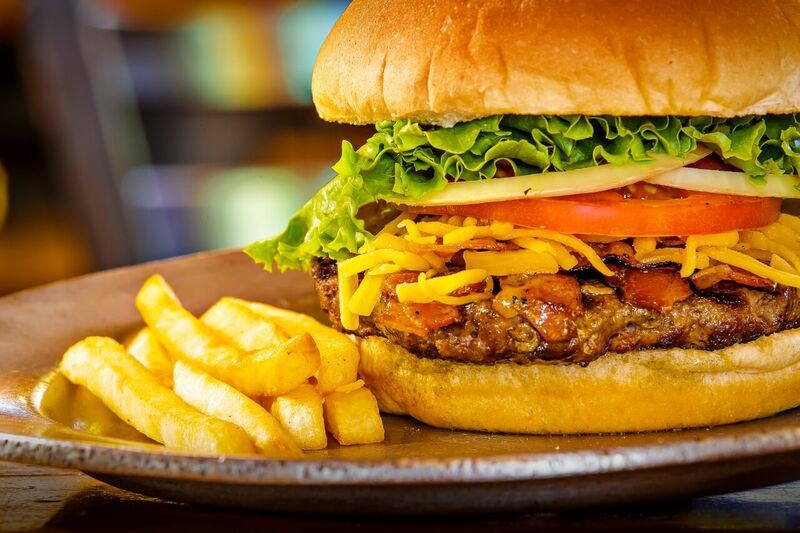 Top your Ground Pat'i with crispy applewood smoked bacon and shredded cheddar. Seasoned 10 oz. ground beef steak cooked to order, served with delicious brown gravy and your choice of grilled onions or sauteed mushrooms. You can have both for a little bit more. 4 oz. ground chuck Pat'i and a pickle spear served with fries. All Kidd'i Pat'i's are cooked Well Done. We take jumbo onions, dip them in our seasoned batter, and fry them lightly. Served with our Pat'i sauce. A Medley Of Vegetables, Lightly Battered And Fried. Served With Our Homemade Ranch. 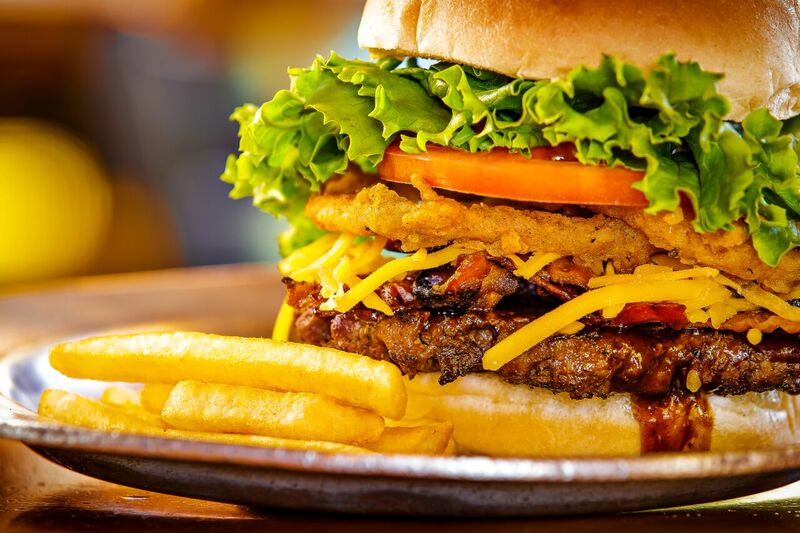 Our famous Ground Pat'i burger topped with signature BBQ sauce, applewood smoked bacon, cheddar cheese and two of our homemade onion rings. Eat Fit Criteria: Less than 300 Calories; Less than 400 mg Sodium; Less than 10% Calories from Animal Saturated Fats; 0g White Refined Carbs and Trans Fat; Less than 5g Added Sugar. All Salad Dressing Choices: Lite Italian, Lite Ranch, Balsamic Vinaigrette or Extra Virgin Olive Oil & Red Wine Vinegar. Crisp iceberg lettuce and romaine lettuce tossed with shredded red cabbage and carrots, two tomato wedges and two purple onion rings with chopped walnuts. Crisp iceberg lettuce and romaine lettuce tossed with shredded red cabbage and carrots, two tomato wedges and two purple onion rings with chopped walnuts with 2 skewers of marinated chargrilled LA certified wild caught shrimp (6). 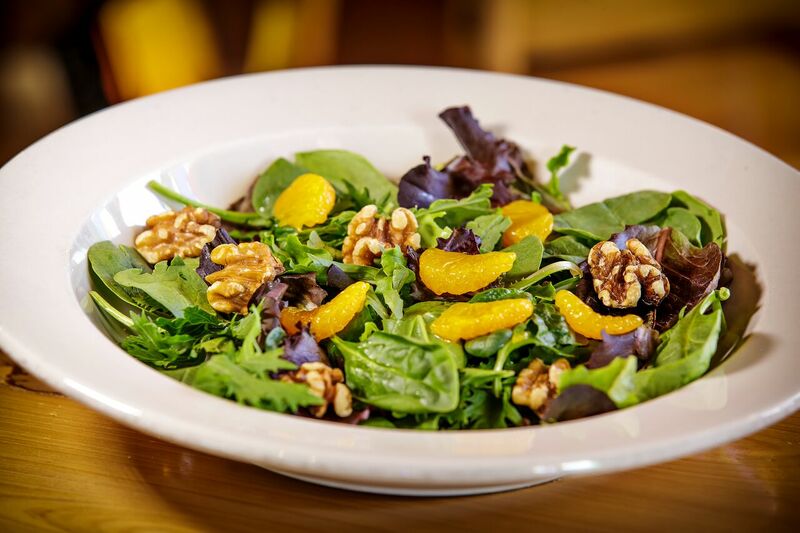 Spring mix of greens topped with mandarin orange slices and chopped walnuts. 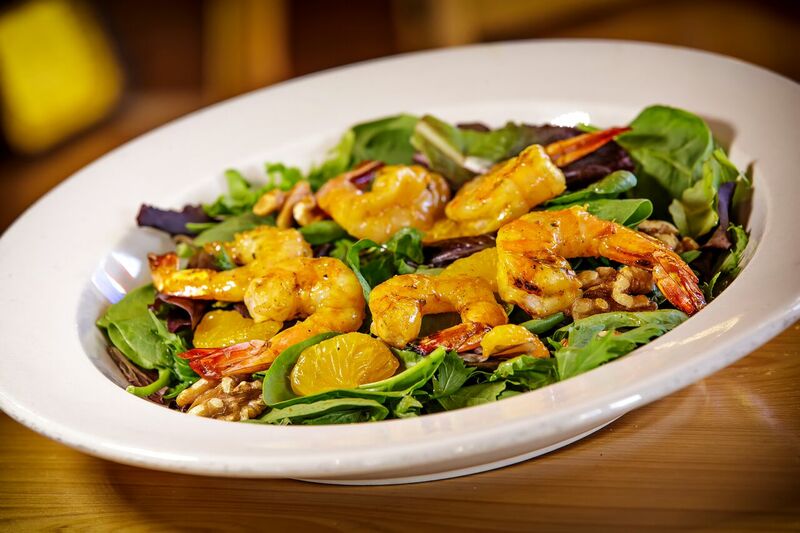 Spring mix of greens topped with mandarin orange slices and chopped walnuts with 2 skewers of marinated chargrilled LA certified wild caught shrimp. Eat Fit Criteria: Less than 600 Calories; Less than 800 mg Sodium; Less than 10% Calories from Animal Saturated Fats; 0g White Refined Carbs & Trans Fat; Less than 5g Added Sugar; Preferably 20g Protein. All Entrees served with a Dinner Salad. Your choice of Eat Fit Approved Dressing. 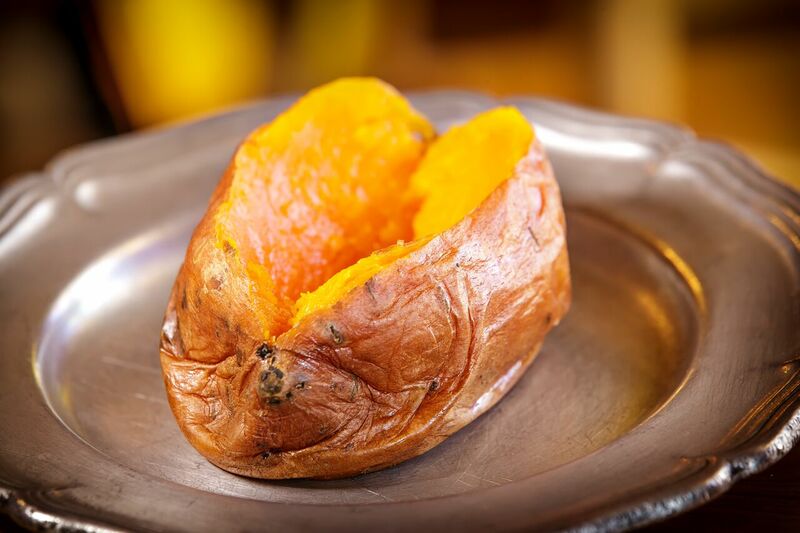 Entree is served with your choice of Steamed Veggies, (Broccoli, Cauliflower and a Carrot Spear) or a Plain Baked Sweet Potato & is garnished with a grilled pineapple & topped with a cherry. Chargrilled 6 oz. ahi tuna. Seasoned and basted with lemon oil. Chargrilled 8 oz. filet of wild caught salmon. Seasoned and basted with lemon oil. Chargrilled seasoned 5.5 oz. turkey pat'i. Juicy chargrilled 6 oz. center cut pork chop. 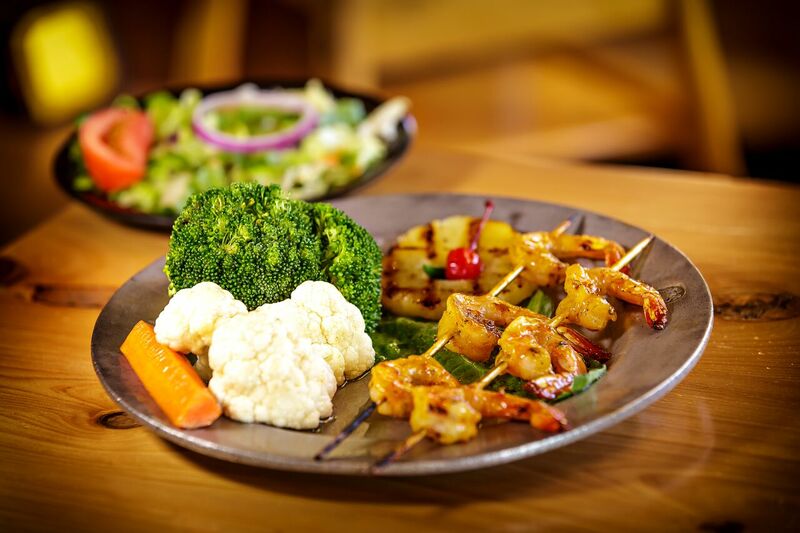 Two skewers of LA certified wild caught shrimp (6) marinated and chargrilled. 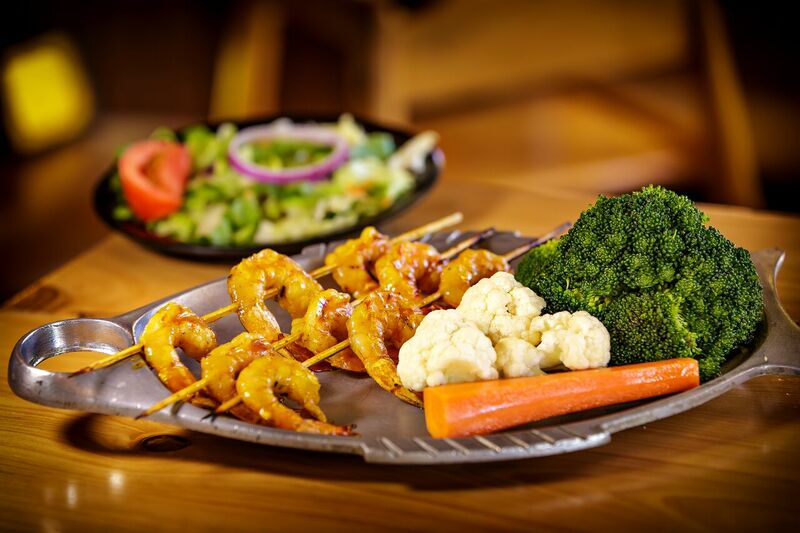 Three skewers of LA certified wild caught shrimp (9) marinated and chargrilled. Mixed greens with tomato wedges topped with an onion ring. 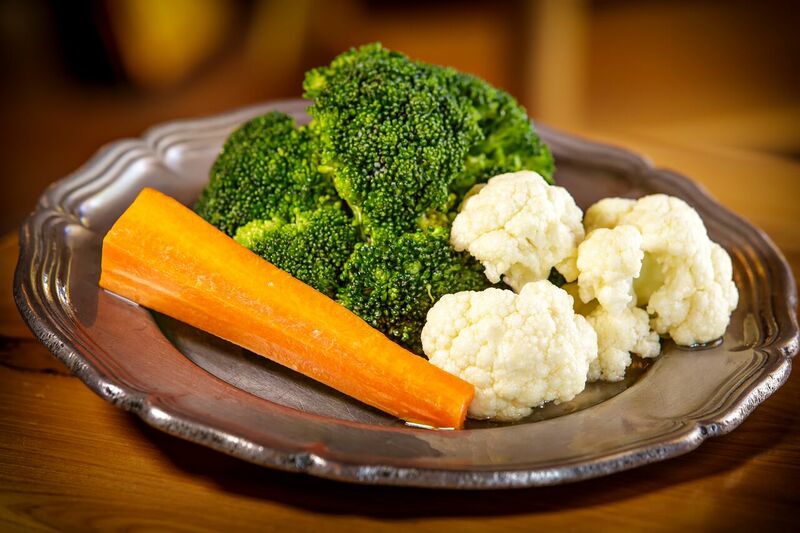 Fresh broccoli, cauliflower and a carrot spear. 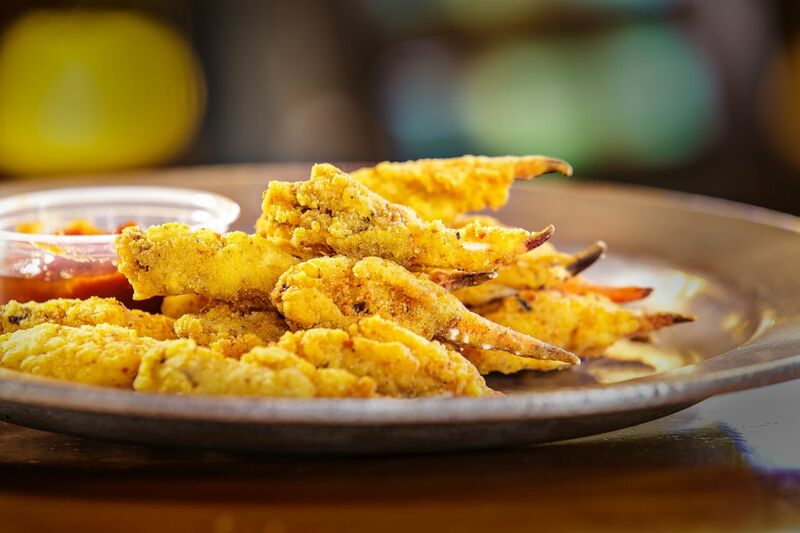 A crowd of crab claws, dipped in a seasoned flour-and-cracker-meal batter and lightly fried. Served with cocktail sauce. 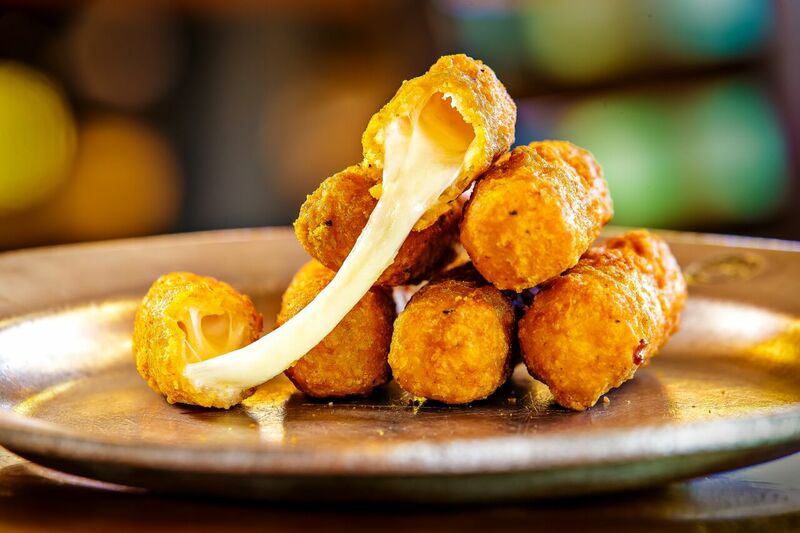 Creamy Cheddar cheese mixed with macaroni and coated in a crispy Cheddar batter. Served with marinara sauce. Battered and fried, served with marinara sauce. Our famous potato skins, fried and topped with melted Cheddar. Served with sour cream and chives. - Also topped with your choice of crumbled bacon or chili. 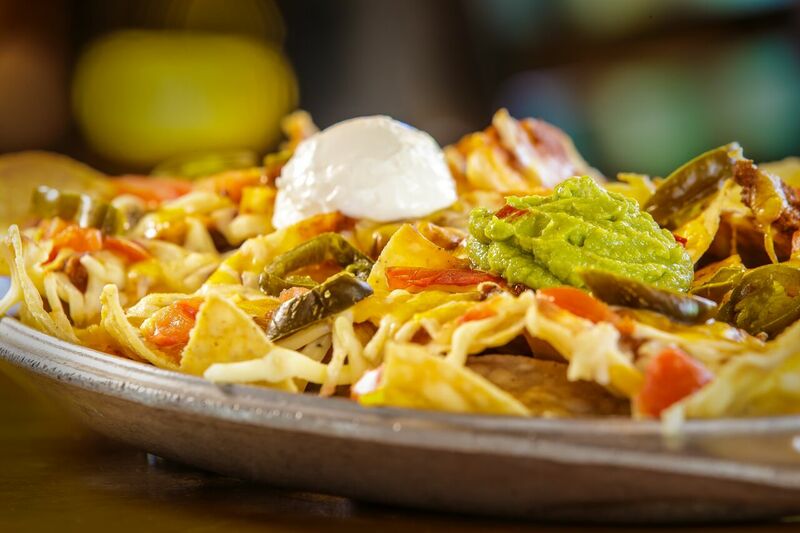 A mound of tortilla chips covered with homemade chili, cheddar, & pepper jack cheeses, jalapenos, pat'i de gallo. Topped with sour cream and guacamole. 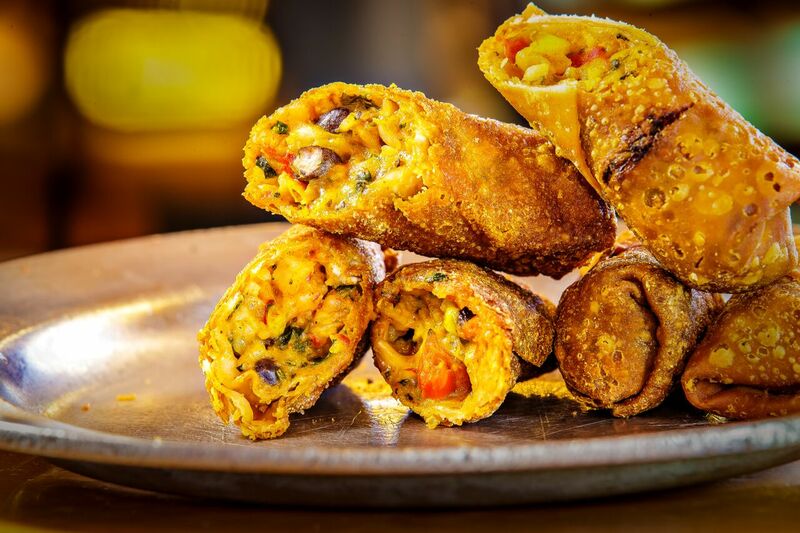 The ultimate combination of four excellent appetizers which include: Southwestern Egg Rolls, Battered Mushrooms, Chicken Wings, and Mac & Cheese Wedges. Spinach, artichoke and melted cheese all blended up into a scrumptious dip. Served with a bunch of chips. 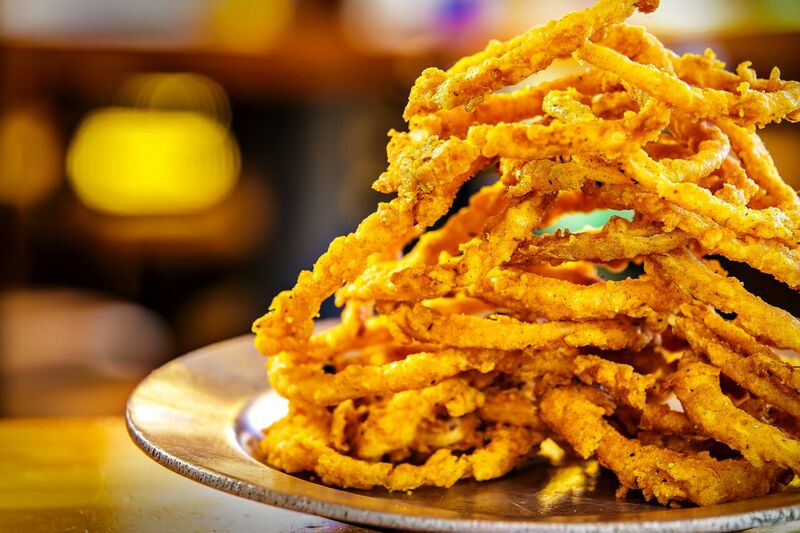 We take our pickle spears, double batter them in our seasoned batter, fry them lightly, and serve them with our homemade ranch. Slices of fresh eggplant, dipped in a seasoned batter, golden fried and served with our secret Pat'i sauce. A bunch of corn dog bites served with our homemade honey mustard dressing. A basket of potato chips sprinkled with our Cajun seasoning. Served with ranch dressing as the dip. 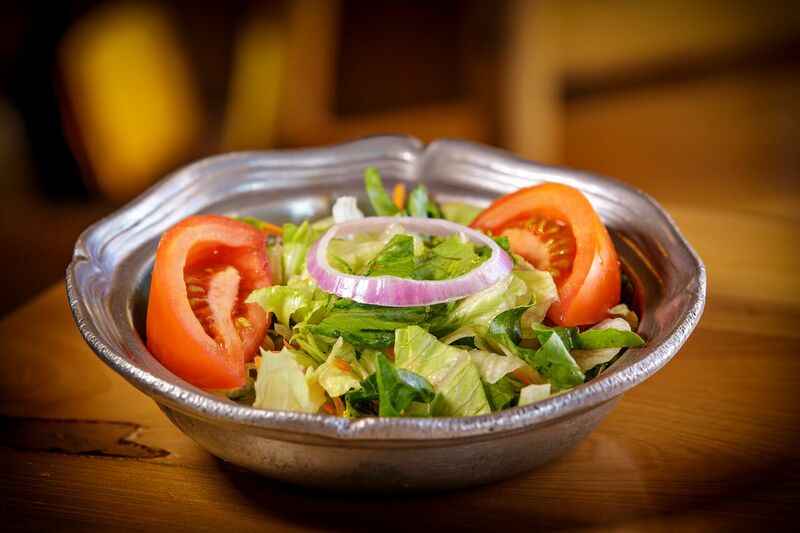 Our salads make great appetizers, sides, or meals. 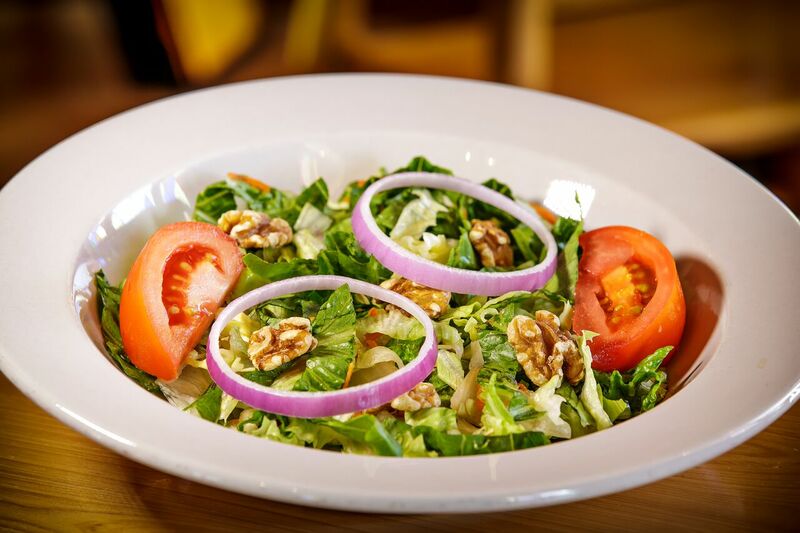 Crisp Iceberg and Romaine lettuce tossed with shredded red cabbage and carrots, topped with tomatoes, purple onions, shredded Cheddar and chopped walnuts. A medley of lettuces and greens mixed together with shredded Swiss, chopped tomatoes, and black olives, speckled with cranberries, then topped with a 6oz. tenderized sirloin steak. Fresh crisp Romaine lettuce with our classic Caesar dressing and tossed with crumbled bacon, croutons, and shredded Parmesan cheese. Spring mix of greens topped with mandarin orange slices, chopped walnuts, and poppy seed dressing. Mesquite smoked chicken tossed in our own citrus dressing, served on a bed of mixed lettuces, topped with diced tomatoes, eggs, and walnuts with delicious Honey Mustard dressing. Tender strips of smoked brisket on a bed of Iceberg and Romaine, red cabbage, carrots, purple onions, pineapple, chopped walnuts, topped with Monterey Pepper Jack cheese. Great with our Homemade Ranch Dressing. A spicy mix of Mesquite marinated chicken breast, corn, black beans, pat'i de gallo, mixed cheeses, mixed lettuces & tortilla strips served with our homemade Avocado-Ranch dressing. Mixed greens with tomato wedges. Just the right size to go with a sandwich or baked potato. Your choice of dressing. Crisp iceberg, romaine lettuce mix with carrots and red cabbage topped with our own pat'i de gallo with Cheddar cheese and our homemade chili. Garnished with tortilla chips. Your choice of dressing. This is what we are famous for! The Ground Pat'i uses only USDA Choice Ground Chuck, grilled to order over an open flame charbroiler. 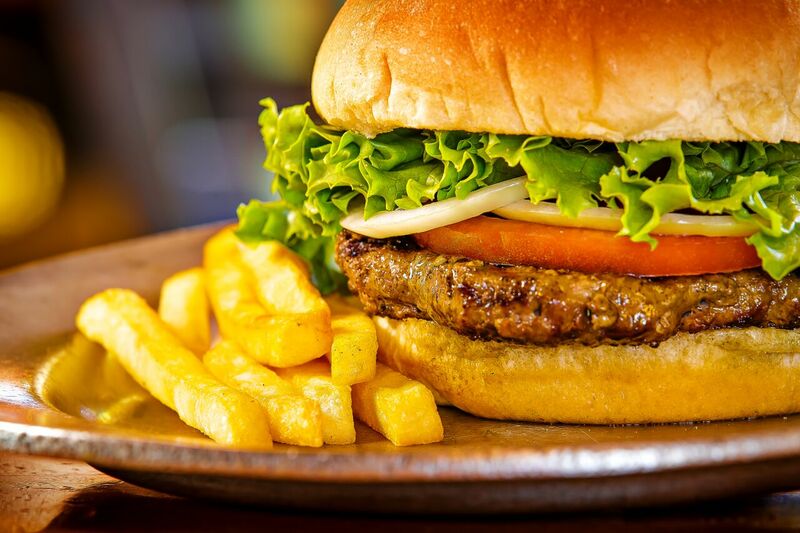 All burgers are served open-faced on a toasted bun with crisp lettuce, tomato and onion slices. a pickle spear and French fries. All burgers available as a pounder. We Cook Our Burgers: Rare - Red, cool center; Medium Rare - Seared with 50% red center; Medium - Pink, warm center; Medium Well - Slightly pink, warm center; Well Done - Brown, hot center. When a 1/2 lb. Pat'i just isn't enough, go for a pound! 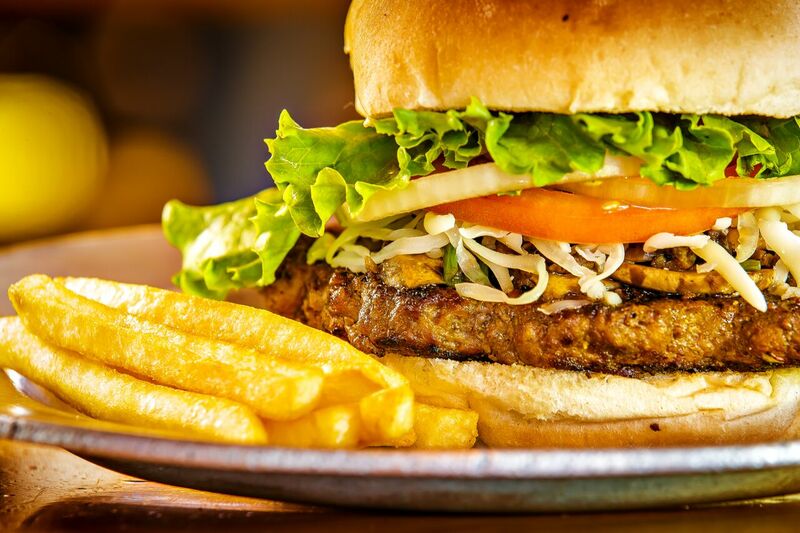 Our famous chuck burger topped with sauteed mushrooms and Swiss cheese. 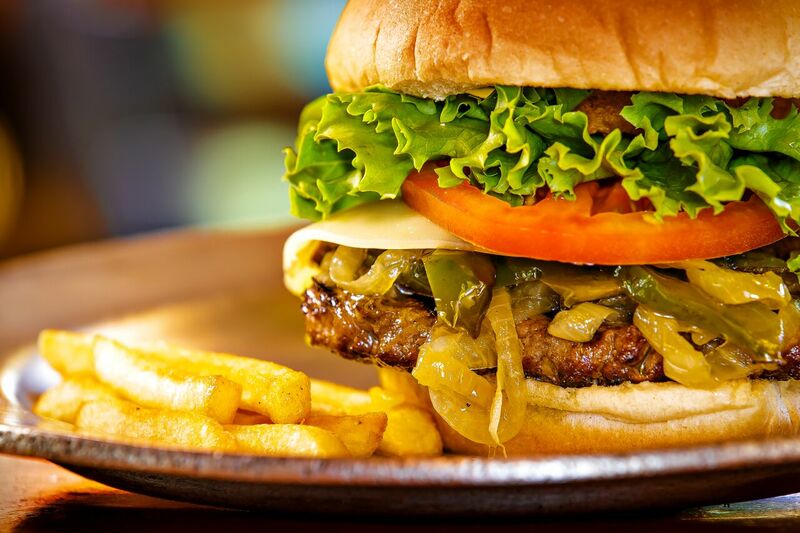 Our famous chuck burger topped with sauteed bell peppers, onions and provolone cheese. Taste the brotherly love here! 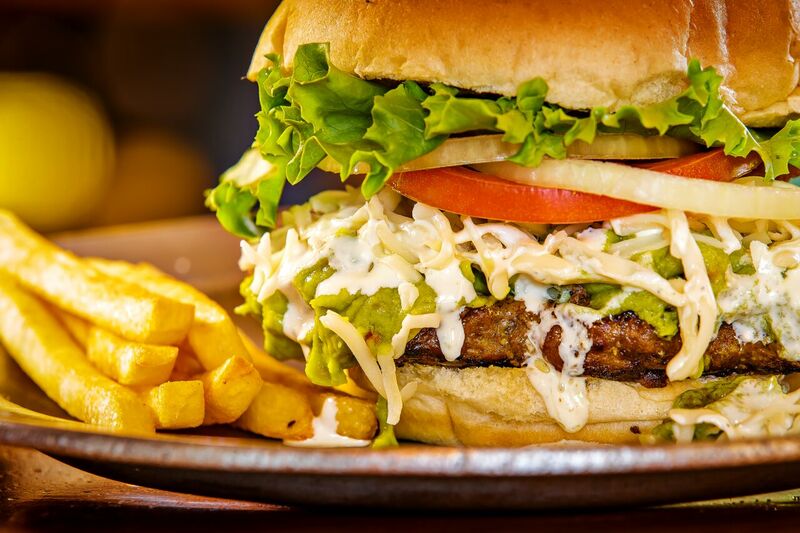 Our famous chuck burger topped with Swiss cheese, guacamole, and ranch. A "fowl" but good choice of ground turkey blended with herbs and spices. Want flavor? 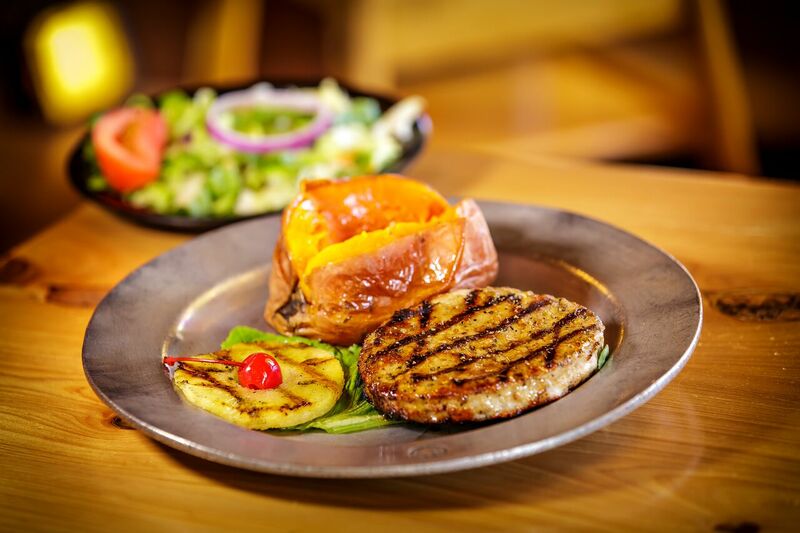 We cook this Pat'i with our special Cajun spices and cover it with our famous sweet n' tangy BBQ sauce. These fries are sprinkled with Cajun seasoning. 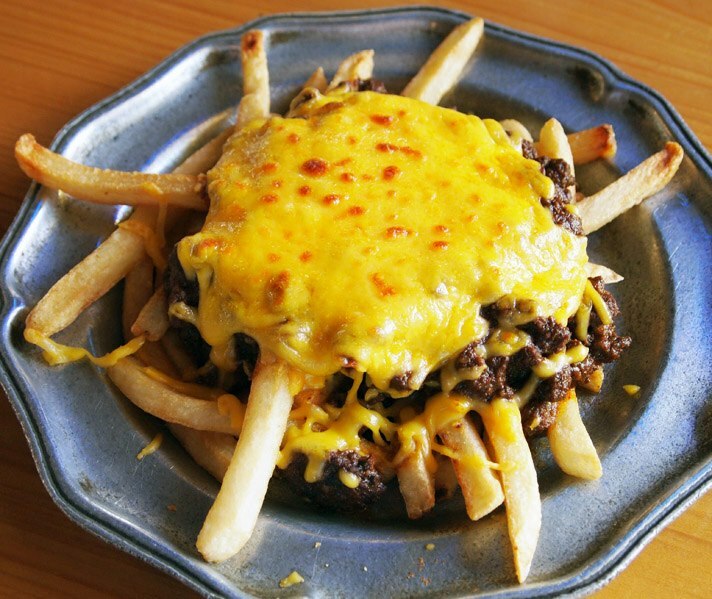 The Pat'i covered with our homemade chili and topped with freshly grated cheddar and served with a jalapeno pepper. True Tex-Mex. 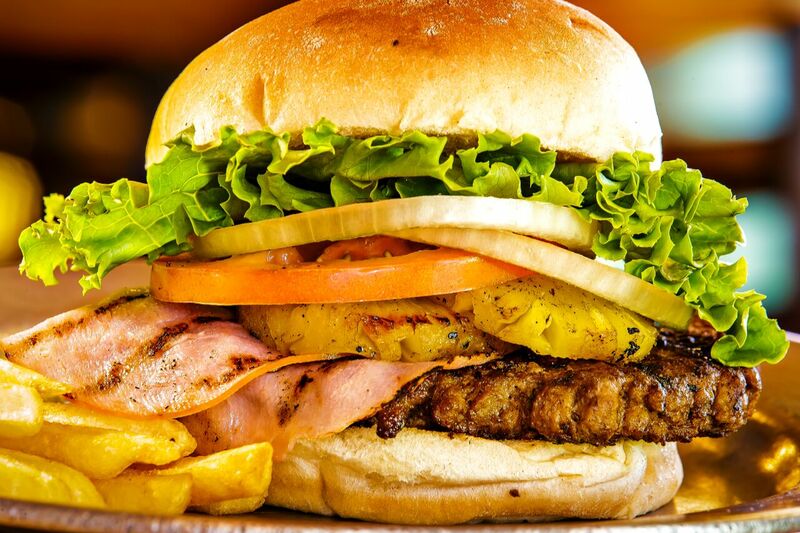 Our famous chuck burger topped with sliced grilled ham and grilled pineapple. 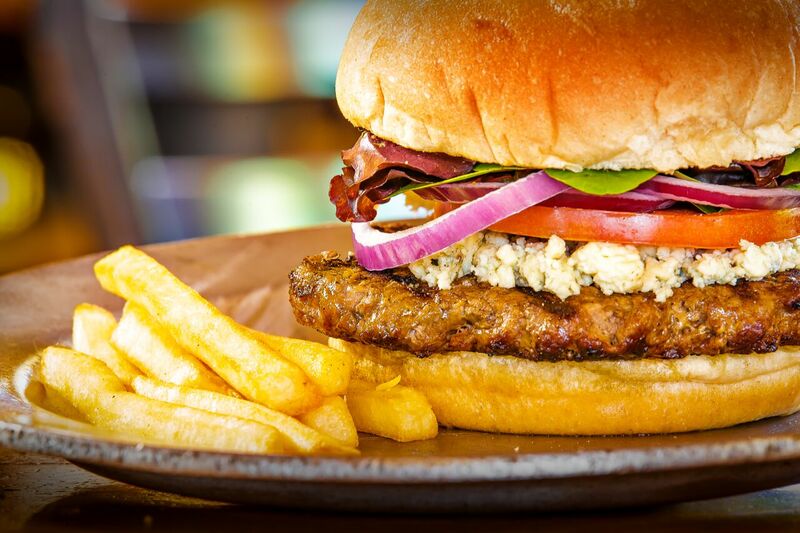 Our famous Ground Pat'i burger topped with blue cheese crumbles, spring mix, purple onion and tomato. Served open-faced on a toasted bun with fresh lettuce, tomato, onion, pickle spear, and french fries. Mesquite-marinated chicken breast covered in BBQ Sauce, layered with ham, covered with melted shredded Cheddar and Mozzarella cheese. Mesquite-marinated chicken breast covered with our famous sweet 'n' tangy BBQ sauce. We'll jazz up your fries with some spicy Cajun seasoning. Crab meat With A superb blend of vegetables, seasonings and a select blend of spices. Tender smoked pulled pork smothered in our BBQ sauce. Fried chicken breast strips, Applewood-smoked bacon, pepper jack cheese, and drizzled with ranch. 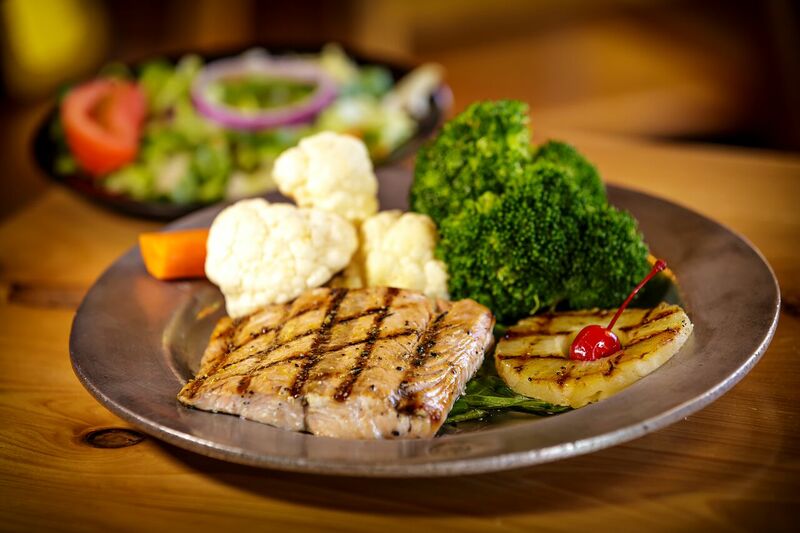 Every item is hot off the grille! These lighter meals are served with a dinner salad, garnished with a grilled pineapple slice, grated cheese and a cherry. Served with your choice of 1 more side. Served with a dinner salad, Texas Toast, baked beans, and 1 choice of side. Half Rack of tender ribs, slow cooked and covered with our famous sweet 'n' tangy BBQ sauce. Two mesquite-marinated chicken breasts. Try this dinner with the steamed veggies. 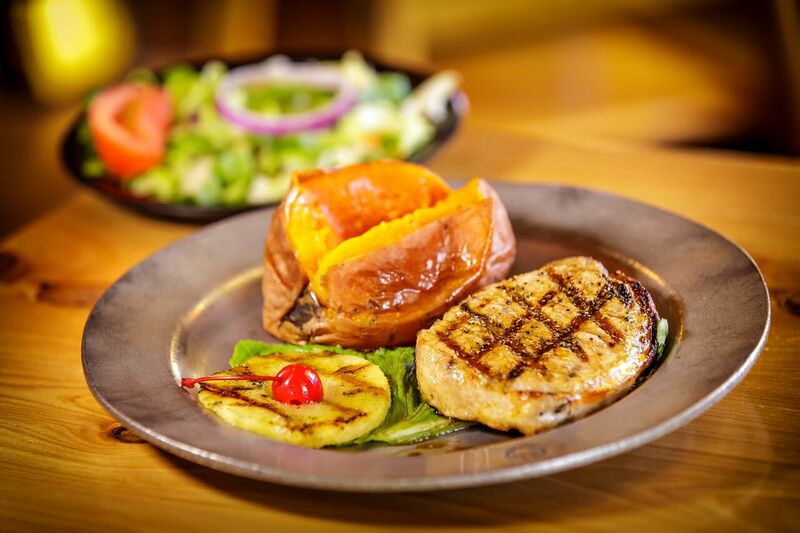 Every item is hot off the grille! If you haven't has a steak at the Ground Pat'i, you don't know what you're missing. We take USDA Choice Black Angus cuts of beef, grill them to order and serve them to you juicy and sizzling. 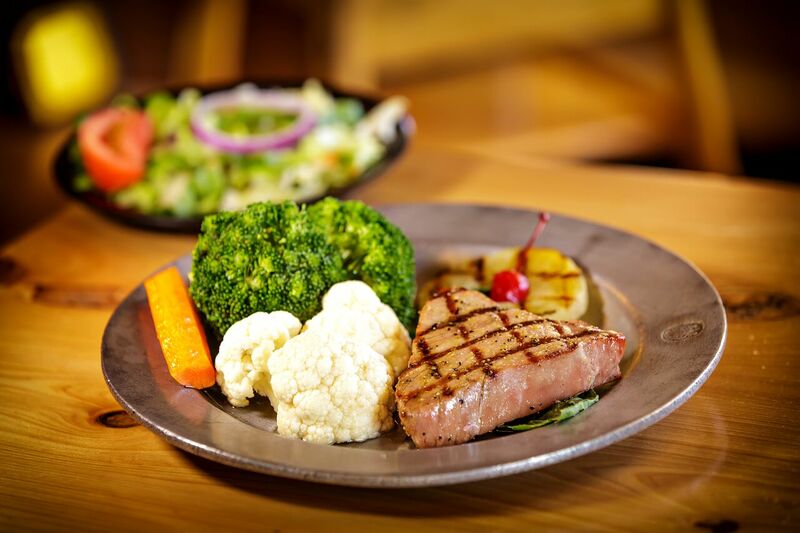 All steak dinners are served with a dinner salad, Texas Toast, and your choice of 1 more side. 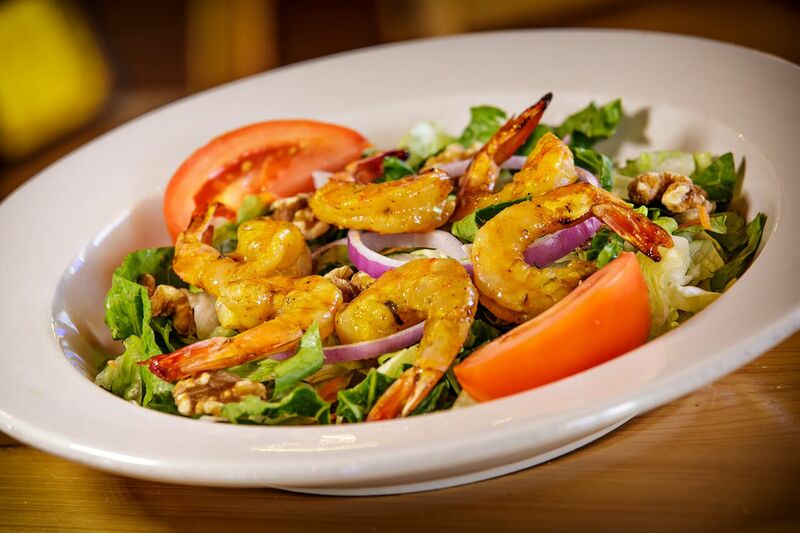 Served with a dinner salad, grilled pineapple, grated cheese, a cherry, and your choice of 1 more side. A plateful of crispy battered and fried catfish. (Chango) The dessert with the funny name, but serious taste. Creamy cheesecake, banana and caramel wrapped in a pastry tortilla and lightly fried until golden brown, served with ice cream. Gotta try it! For all fans of lemon icebox pie, this is it's twin. Smooth, creamy cheesecake blended with a touch of tangy key lime pie. It's divine!